Born in Bali, Indonesia in 2013 A CONSCIOUS COUP highly dynamic and often raucous two-piece fast became favourites among international audiences. The duo bring with them a wealth of experience as accomplished recording artists, touring performers and songwriters. Psychedelic blues rock with a conscience. 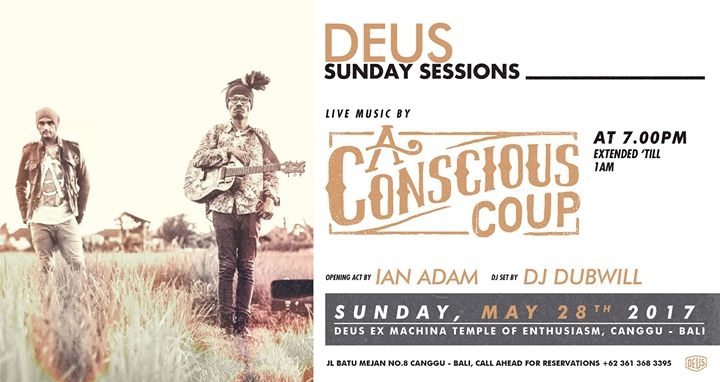 Come over and enjoy the good vibes and great tunes with Deus!